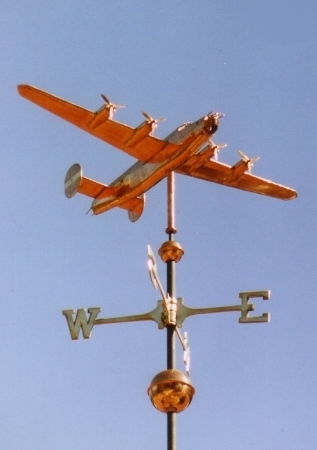 Our customer for this Consolidated B-24 Liberator Aircraft Weathervane piloted this challenging and vulnerable plane on sorties during World War II. 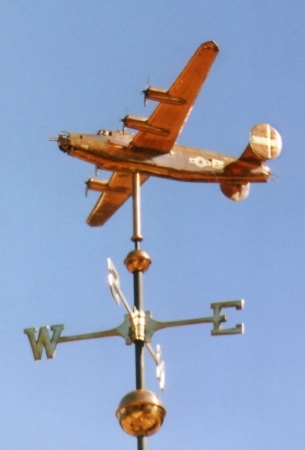 While difficult to pilot and vulnerable to attack, it was critical to the war effort and provided excellent service in a variety of roles thanks to its large payload and long range. It was the only bomber to deploy the United States’ first forerunner to precision-guided munitions during the war — the 1,000 lb. Azon guided bomb. A big shout out from all of us at West Coast Weather Vanes to the many who risk life and limb to protect our nation and defeat tyranny. Our master artisans enjoyed the challenge of constructing this exact scale replica in copper, and our customer was thrilled. The pictures show the optional gold leaf markings our client worked with us to accurately represent the airplane from his past. 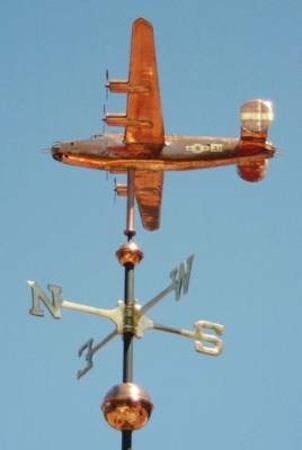 As this vane weathers and then patinas these markings will remain bright and distinct with strong contrast for many years. 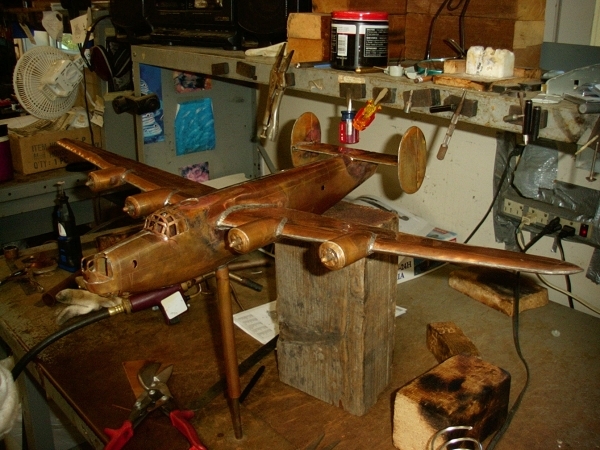 We enjoy working with you to achieve the precise vane you have in mind through the design and customization process, and our team has accumulated great depth of experience in highly technical representations, if there is a vehicle or conveyance you desire a sculpture piece of.